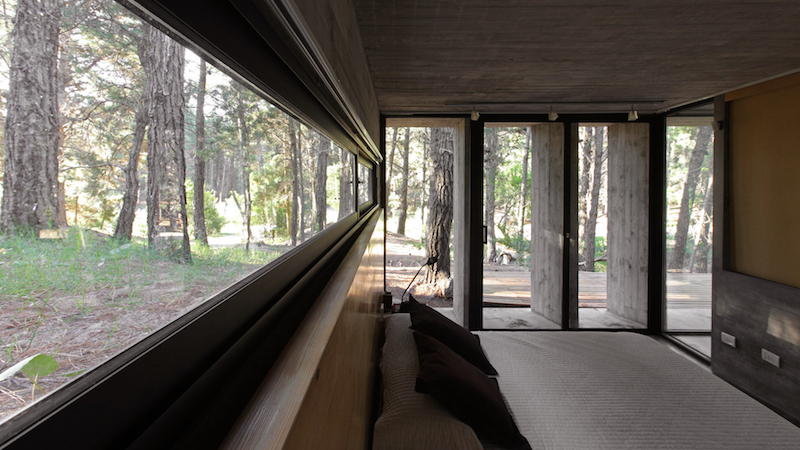 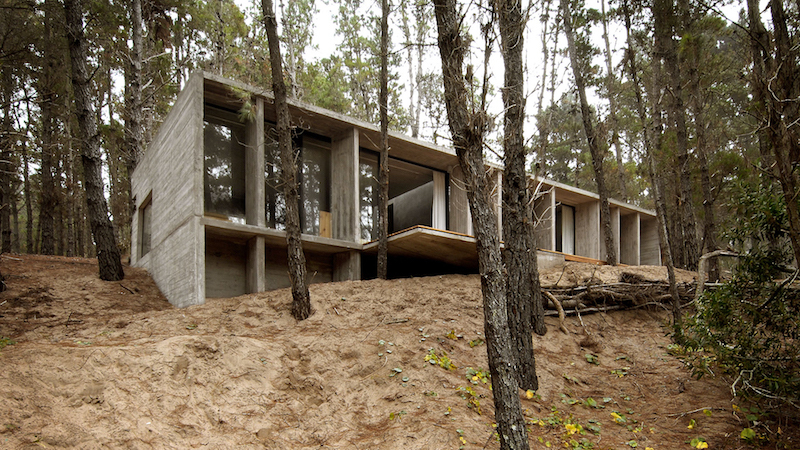 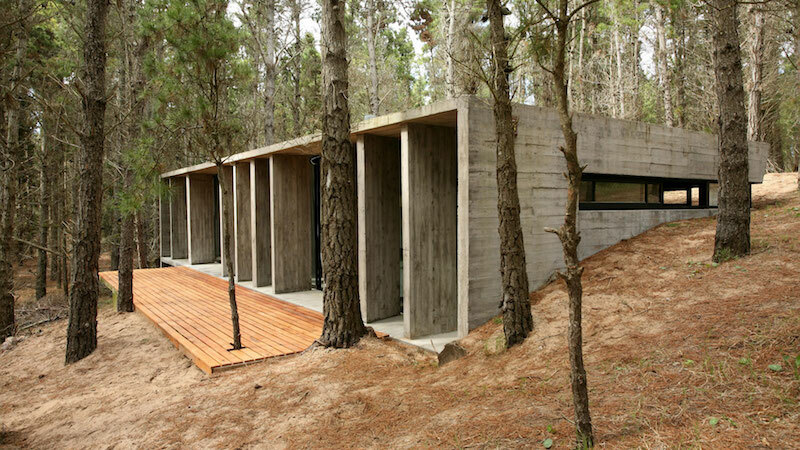 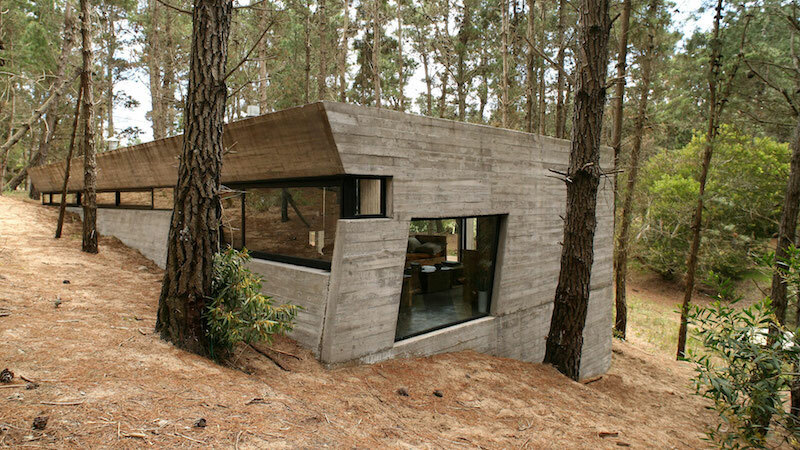 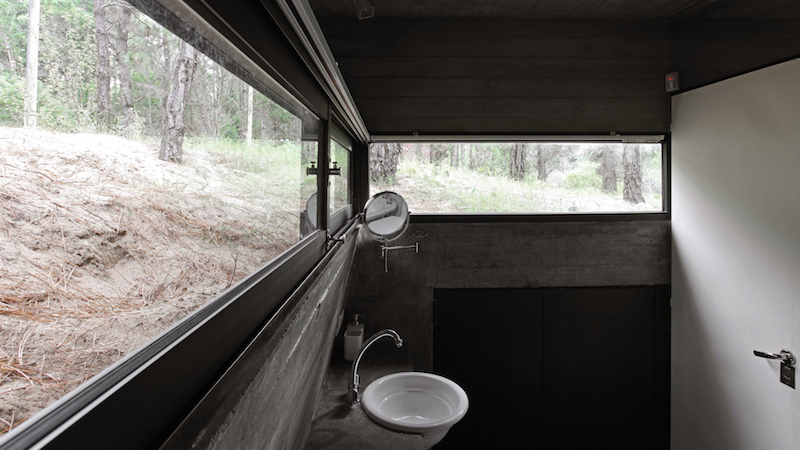 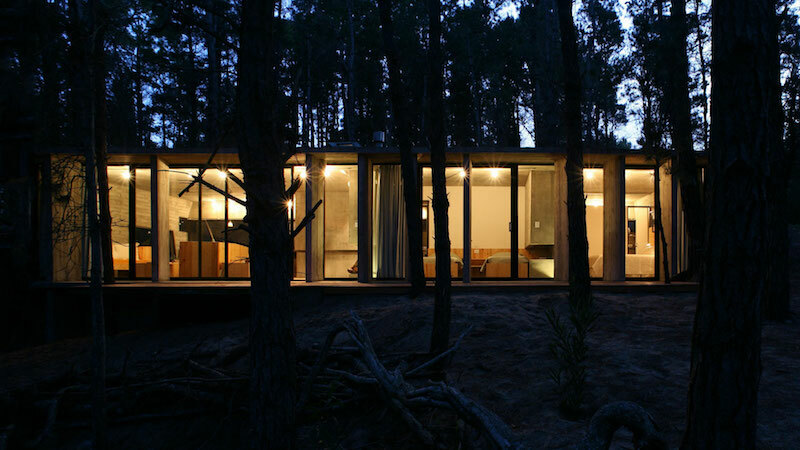 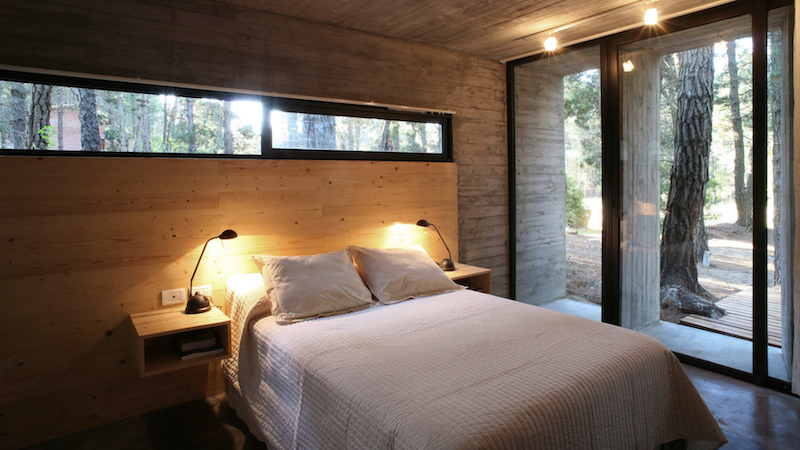 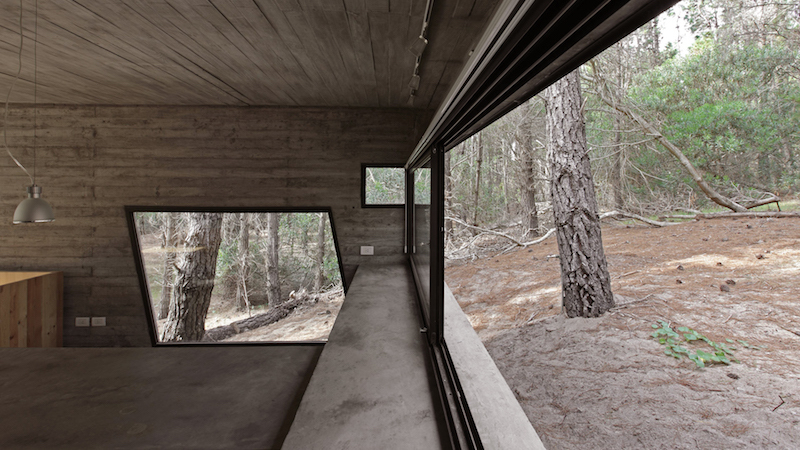 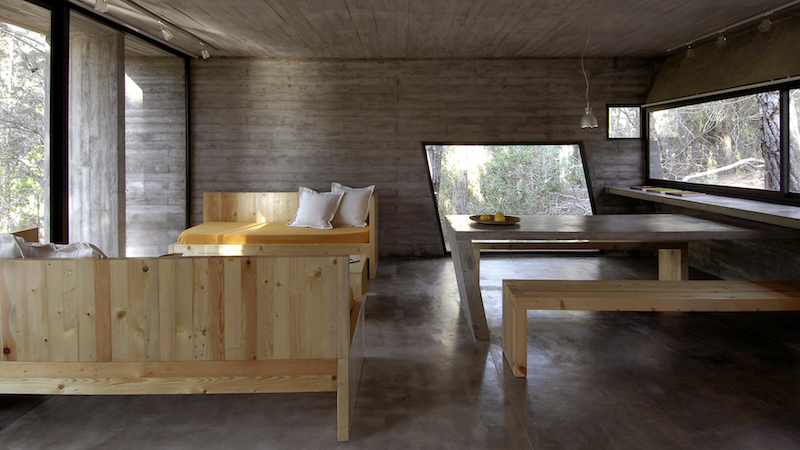 Casa de Hormigon is a concrete house by Besonias Almeida Architects. 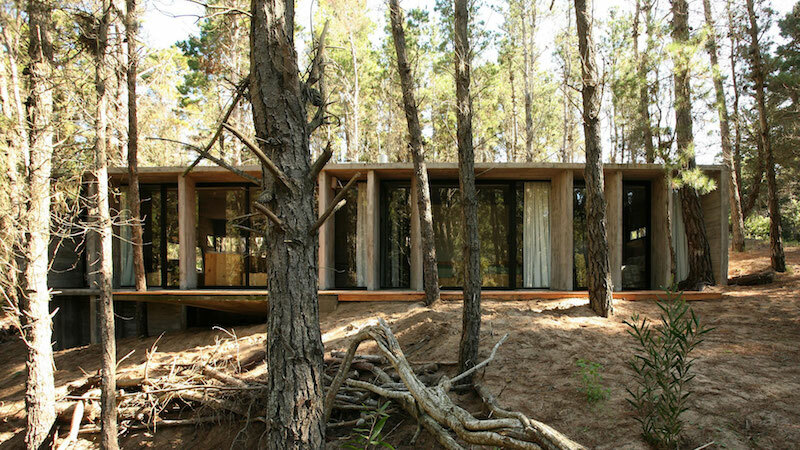 It’s located in Mar Azul, Argentina. 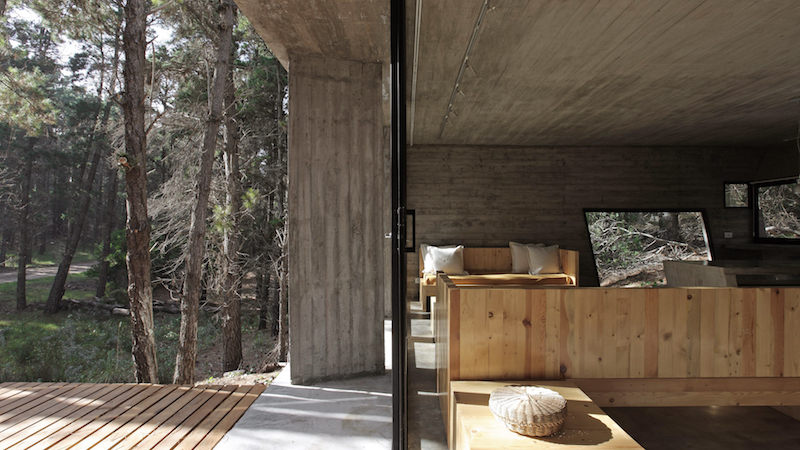 Concrete elements and the glass walls make this 90 sqm fit perfectly into the surrounding nature adapting same time with the rather rough environment. 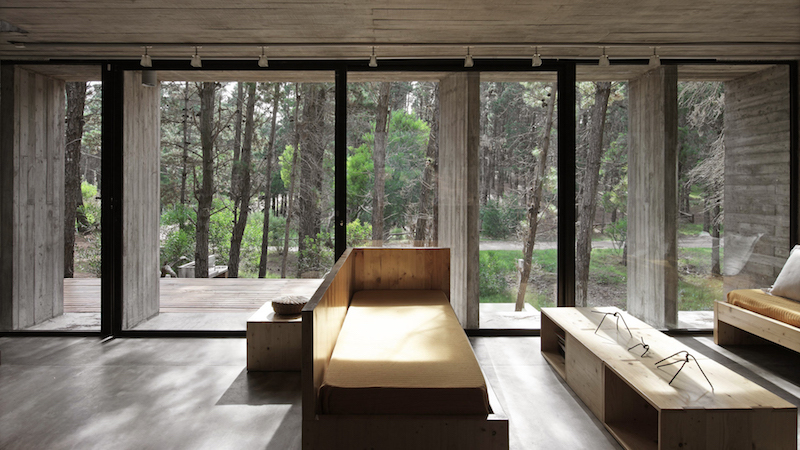 Wooden patio area, skew elements and both the building and interior materials create a balanced yet interesting entity. 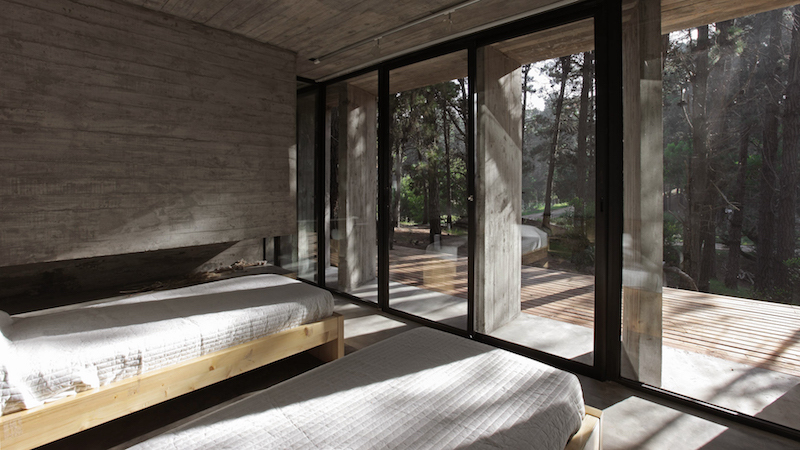 The house fills with natural light in daylight while the night lighting inside brings the concrete elements into their most interesting shape. 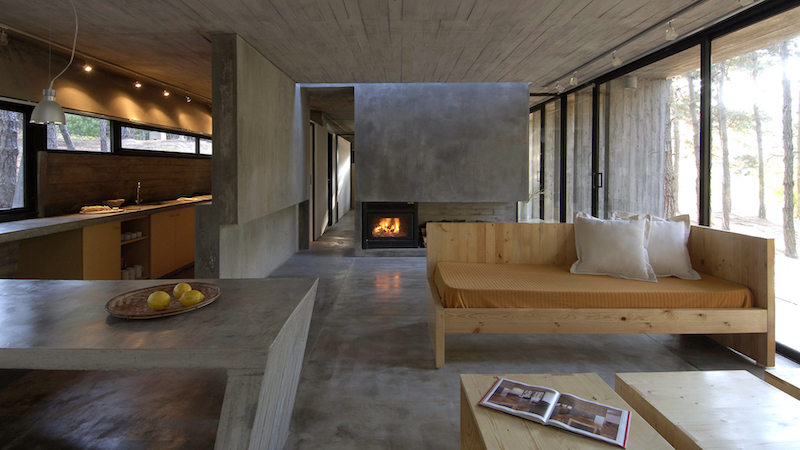 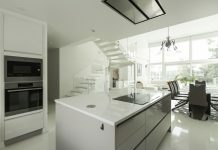 Minimalist architecture and maximizing the open space inside give this concrete house its unique character, letting same the the interior designer to decorate the house with own way. 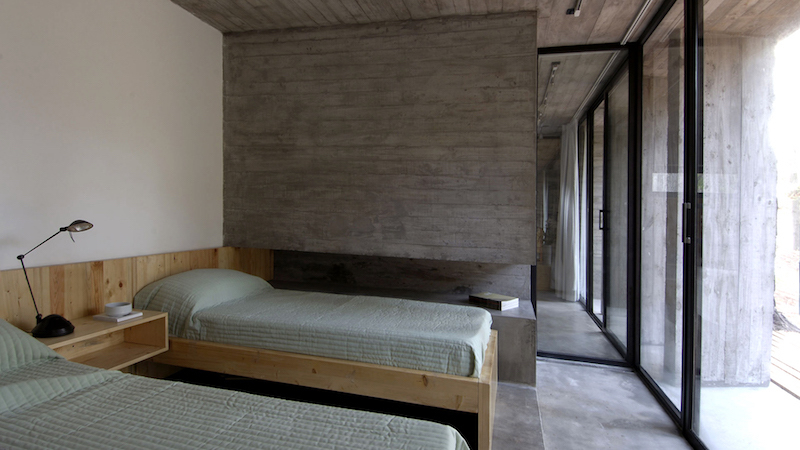 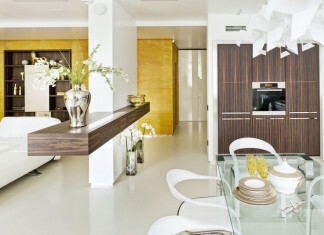 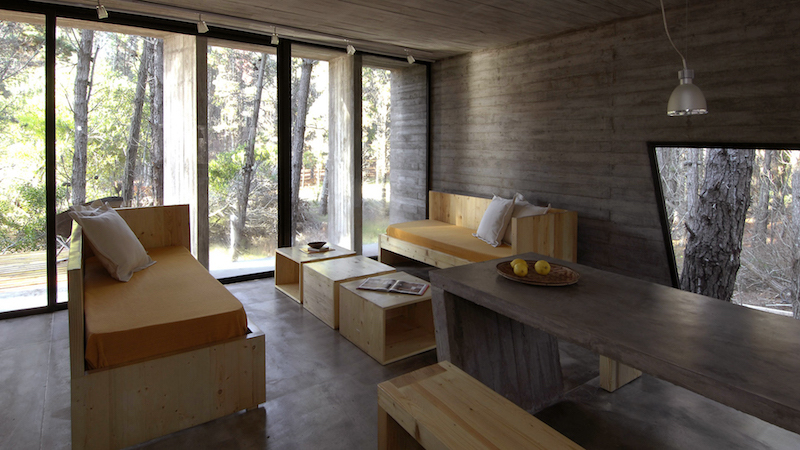 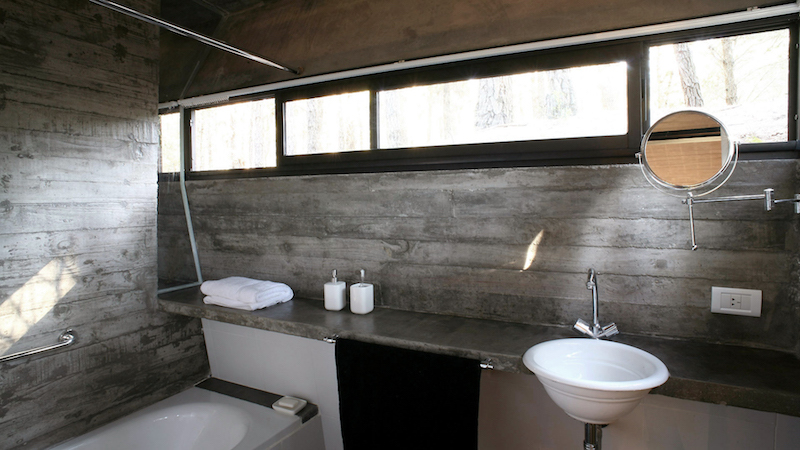 Wooden furniture is a perfect match with the concrete.